Rotorama Spectre ARF is a not assembled copter-set designed especially for freestyle flying with a clear goal: to provide great flight characteristics with a suitably distributed weight and ensure good frame resistance and component protection. The frame offers separable arms of the highest quality carbon which we have carefully chosen. The arms and the bottom plate are made of 4mm carbon, the sides of 3mm, and the top plate of 2mm. Frame weight is 133 grams in the 6" design, which is totally acceptable for freestyle flying. The basic shape of the copter is "true X", where the distance between the front and rear motors is the same as between the left and right motors. The battery is fitted on the top plate using two lipo straps. The battery is secured on the top plate by two lipo straps. The behavior of the copter is very predictable because the weight is centred near the center of gravity and the center of gravity is in turn close to the thrust point. The arms are separable and easily replaceable. When an arm breaks during a really tough crash, it is sufficient to undo a few bolts and the arm can be freely pulled out and replaced with another one. You can be back in the air in a few minutes. 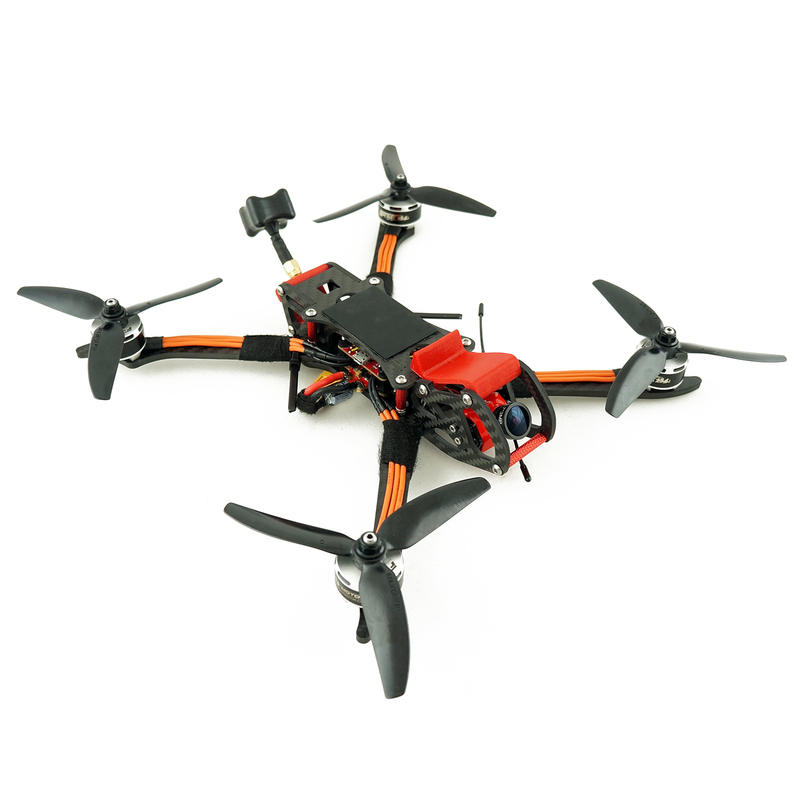 The arms are designed so that their base is wide enough to accommodate standard 30A ESCs. Of course, 4in1 controllers can also be used. Inside, all standard FCs and 4-in-1ESCs with a 30.5mm mounting distance (SP Racing F3, Omnibus F3/F4, BetaflightF3, Matek PDB, Racerstar 4in1 ESC, ...) can be fitted. The camera mount supports standard full size cameras. A durable and flexible TPU bracket for a HD camera is included. In addition to the popular Gopro Session, any other HD camera can be attached. The VTX antenna bracket is also made of a flexible TPU, which reduces damage to the antenna during crashes.